From a young age, I loved food. I love weird food, interesting food, trying new food, going to people's houses and trying their food. I never wanted to be a chef. Like an art lover going to a museum to enjoy and experience art but never picking up a paintbrush themselves. I didn't realize there was a word for that until probably a few years ago; foodie. A couple months ago, I started taking photos of food and posting reviews on Facebook or in groups. The response was overwhelming! My photos and my words were so well received. People were constantly asking me where I got the food, how do they get the food, was there more food? 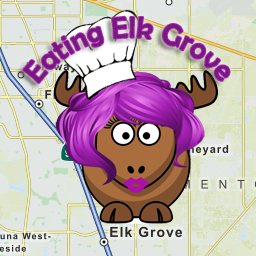 Eventually, it sparked me to start my EatingElkGrove Instagram account. Honestly, I didn't know if people even blogged anymore and I really didn't know if I had anything to write beyond a few lines about a food item. I've had my Instagram for just under 2 months (April 17 will be 2 months) and I've discovered that I have A WHOLE LOT more to say so I started this blog. It was a struggle to venture away from my crafting blog Heart Hugs Designs (ETA: which I've now merged with this blog) but I decided that my food posts, my product reviews, my posts about local happenings needed a new home. Here goes nothing! Thanks for reading this and coming along with me on this new venture!